Alltest Instruments provides verification and adjustment to OEM specification with NIST traceable equipment. In a world of uncertainty, it is important to know that your lab equipment is tuned in for efficacy and efficiency. Calibration keeps labs working smoothly and accurately while keeping in line with compliance and regulation. 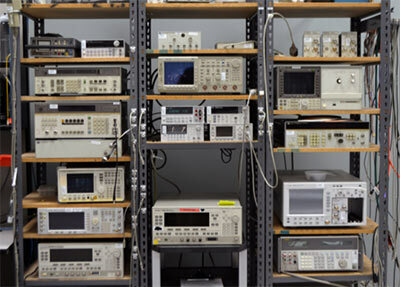 Alltest Instruments offers service and calibration contracts. Calibration is recommended at 1 year and 2 year intervals. Contact Alltest Instruments for a quote on extended calibration or service plans. We are excited to partner with Agile Calibration to offer unparalleled onsite calibration services! Alltest has always always kept your T&M equipment working smoothly and accurately with our NIST traceable calibration lab and meticulous technicians. Now, we are working with Agile to provide our customers with expert onsite equipment calibration. Your instruments never needs to leave your lab. Agile’s staff will come to your facility and get your equipment calibrated to manufacturers’ specifications with minimal downtime. Request a quote for onsite calibration.